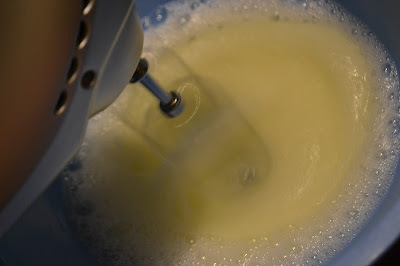 So after you've made your yema balls, what do you do with the egg whites? Make Pavlova, of course! 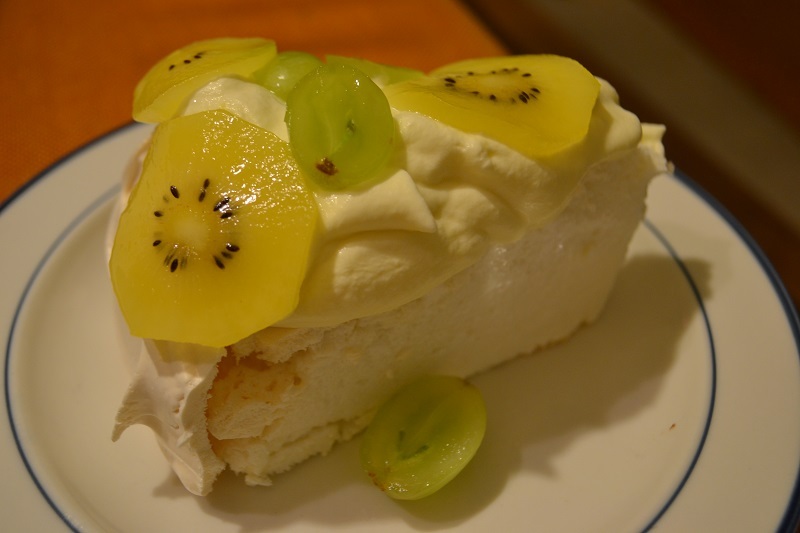 Pavlova is a popular meringue-based dessert here in New Zealand. The name sounds Russian because it actually is; this dish is named after Russian ballet dancer Anna Pavlova, who toured Australia and New Zealand in the 1920s. 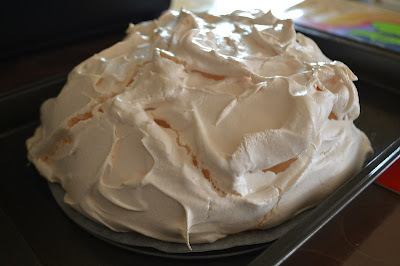 This is usually served during Christmas and special occasions but I will add another reason to make Pavlova: when you have leftover egg whites! Here's an important tip: make this dessert the night before. 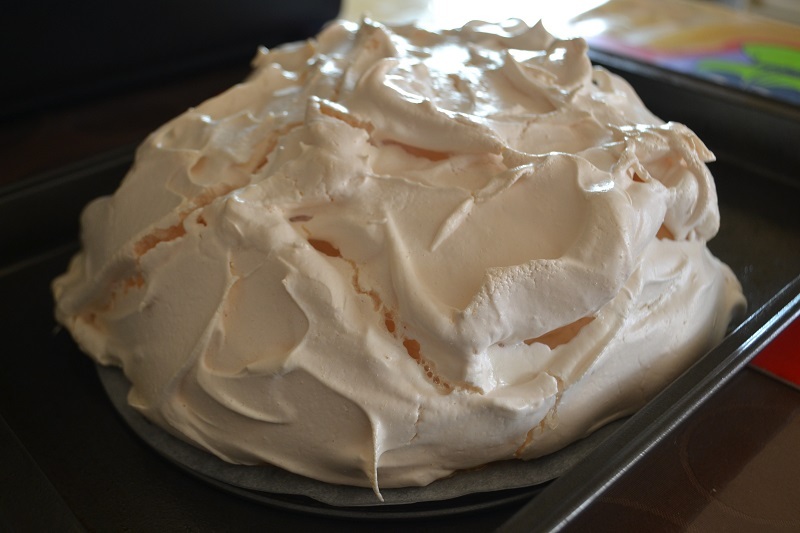 This is because you will need to let the Pavlova rest inside the oven overnight. The probability of deflating is high when you take it out of the oven immediately, so it's best to just leave it in until it has sufficiently cooled down. I used the base of a 6-inch pie tin to cut a round piece of baking paper on which the Pavlova will sit. 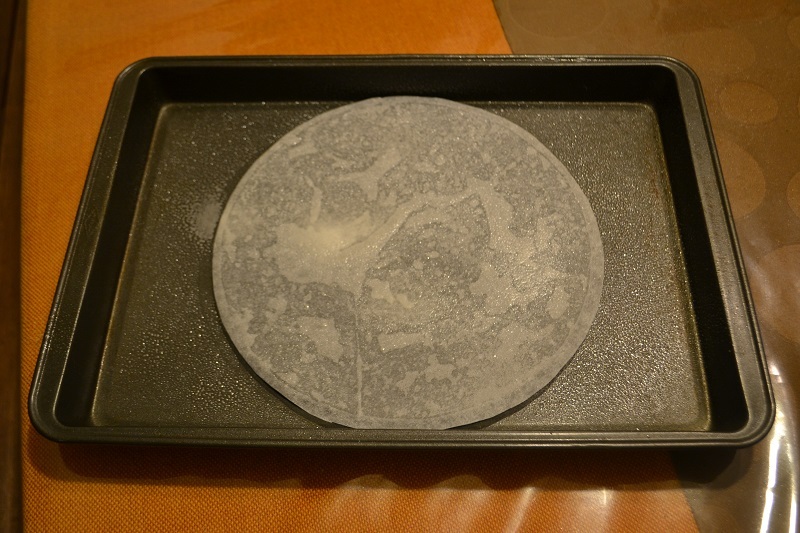 As an afterthought I greased the pie tin base and stuck the baking paper onto it, then placed this on a baking tray to make it easy to place in the oven later. 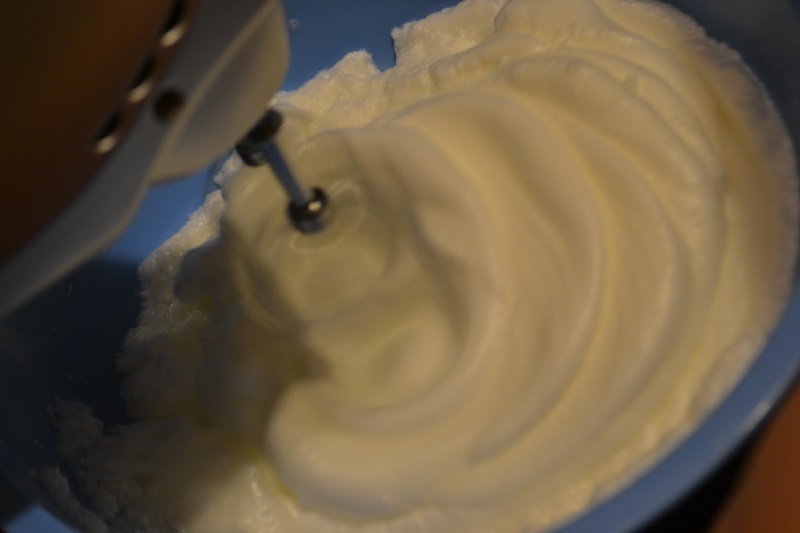 Beat the egg whites until peaks retain their shape. Use an electric beater, initially on low whisk and then increase to medium or medium-high. Stop when the desired stiffness is achieved. Slowly add the sugar until thoroughly combined, followed by a pinch of salt. 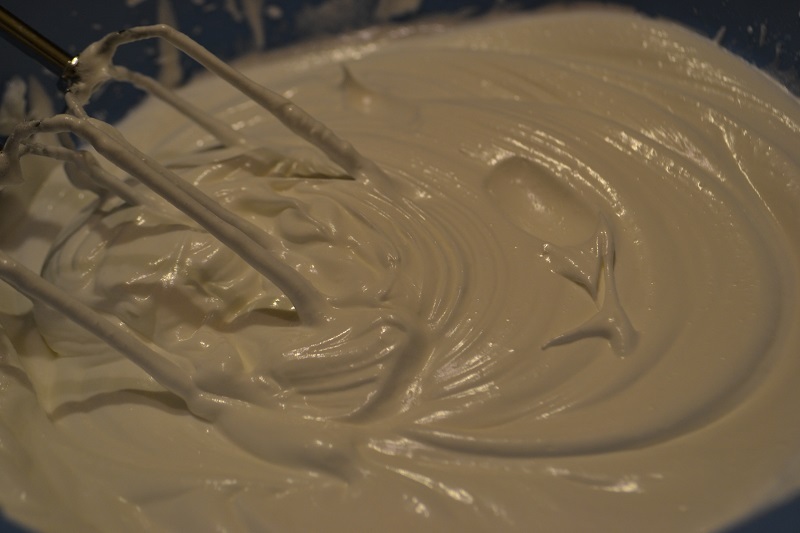 Test this by feeling a bit of the egg white between your fingers. If it feels rough, then the sugar hasn't been completely dissolved yet. If you feel only a little bit of the granules left, then it's fine to proceed to the next step. The egg whites will now have a glossy surface to it. 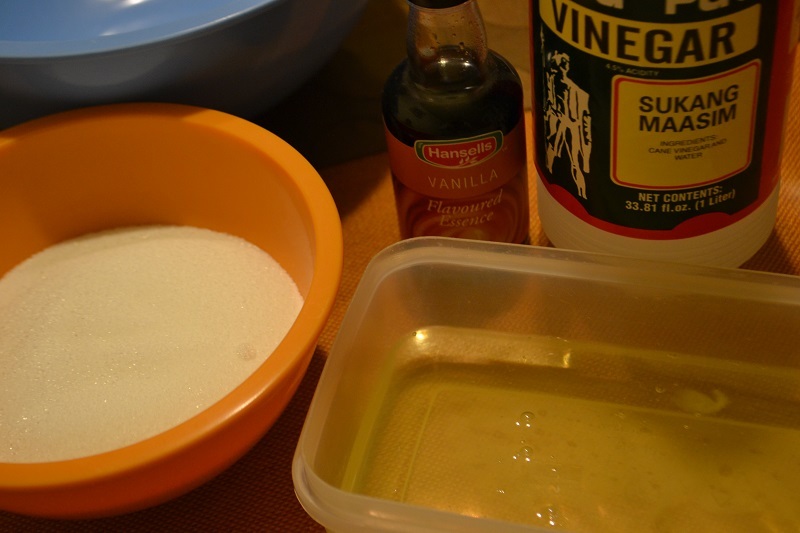 Beat in vanilla and vinegar, then finally fold in the cornflour. 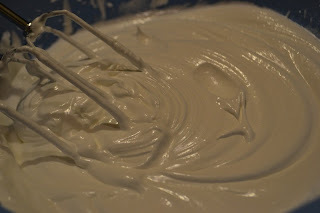 Spoon the mixture over the baking paper. 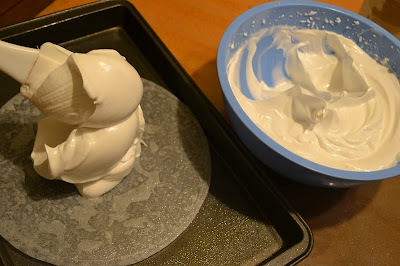 Allow a good gap between the mixture and the edge of the paper (I did not do a good job at this and the cooked Pavlova spilled over a little bit). Time for the oven! Bake for 1-1/2 hours, then turn off the oven and leave the Pavlova inside to rest overnight. Here is the result of my first ever effort at making Pavlova! I wasn't able to achieve a roughly cylindrical shape but I am pleased with this outcome. It has a crunchy crust, and inside it's spongy! 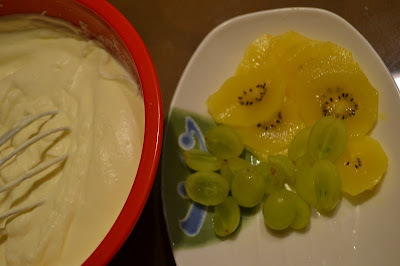 Note that I actually made this dessert during the weekdays, which means there's not a lot of people to partake of this yummy treat. 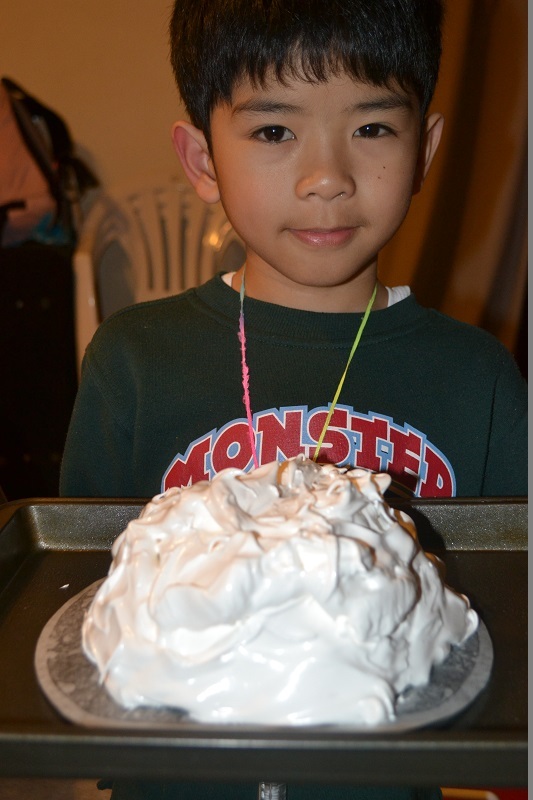 Normally you'd spread the whipped cream on top then decorate with fruits. 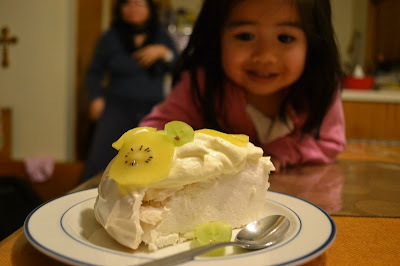 In our case, we just took a slice each, decorated with cream and fruit, and kept the rest of the Pavlova for another day.